With great sorrow his family announces his passing on Wednesday, October 3rd, 2018 at the Lady Minto Hospital at the age of 77. He leaves in mourning his wife of Pauline Ferguson (nee Arseneault), his children Donny Ferguson, Gerry Ferguson, Diane (Dennis) Decevito, Linda (Peter) Politis, Wendy (Jeff) Maguire and Richie (Melanie) Ferguson. 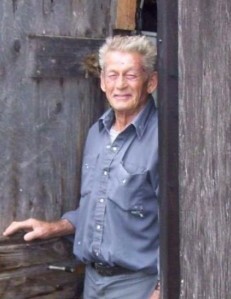 He was the beloved pepere of Jessie (Chris) Burton, Samantha (Jesse) Arbic, Johny Politis, Abby Maguire, Ian Maguire, Myah Ferguson, Sarah Ferguson, Jack Ferguson and great-grandpa of Ariana Burton, Leah Burton, Tyler Burton, Mason Arbic and Amelia Arbic. Ivan was the brother of the late Elsie Peever, the late Audrey McInnes, the late Marion Morgan, Duncan Ferguson, and also leaves in mourning numerous nieces, nephews and his drinking buddies Alain & John. He was the son of the late Donald Ferguson and Dora Ferguson (nee Quinn). Ivan was an avid outdoorsman, like going for walks on his farm with his dogs and always kept busy puttering in his shed. Visitation will be held at the Génier Gauthier Funeral Home, 70 Seventh Ave, Cochrane on Friday October 5th, 2018 from 12 pm to 2 pm followed by the memorial service at 2 pm at the Génier Gauhtier Funeral Home Chapel with Pastor Cox officiating.